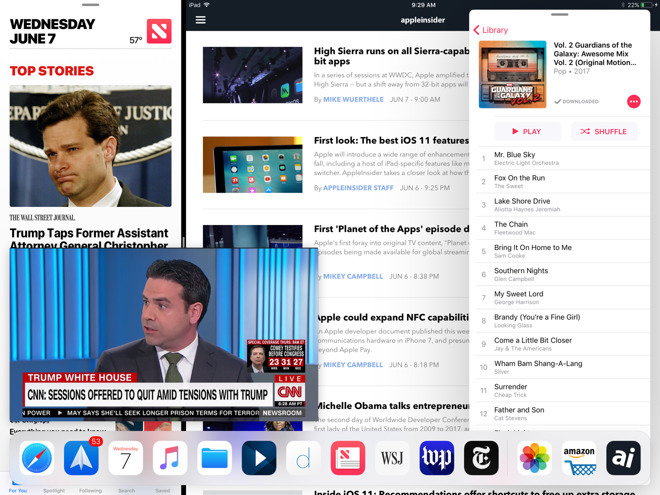 Once an app is in slide over, you can swipe it toward the right to get rid of it, and then pull from the right side of the screen to peek at it —again, this works just like it did in iOS 10. 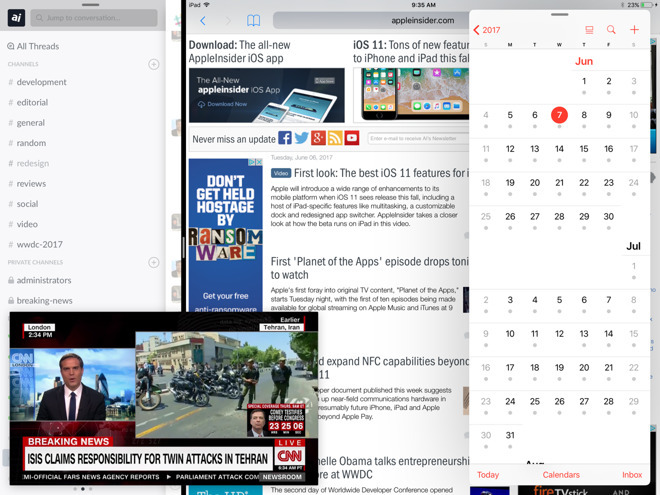 But in iOS 11, the app stored in slide over can now be viewed even while working in split view. 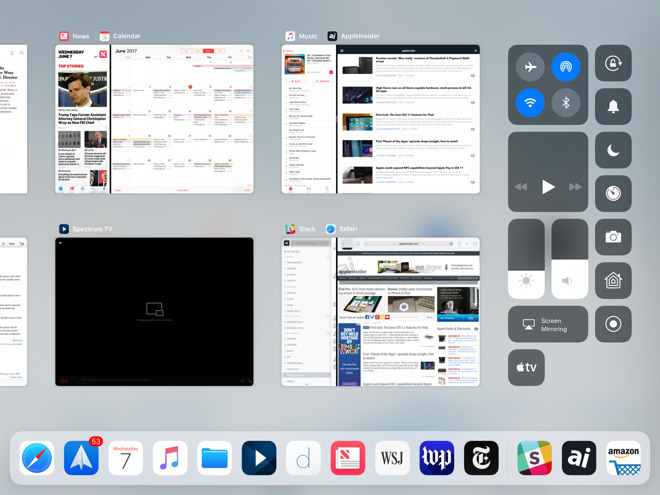 Making iOS even more powerful, the new app switching screen with Control Center —which can be accessed by double pressing the home button, or sliding four fingers up on the screen —remembers apps that are paired in split view. This is dubbed "App Spaces."